If you shoot (3) or more times per month—Best Value! FREE Basic Handgun Cleaning. One per month. Certain restrictions apply. 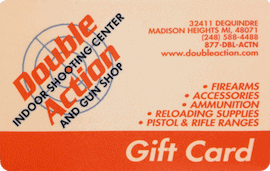 FREE: Lifetime Membership after the purchase of (5) Firearms — Best Value!